We are under Section 501(c)(3) of the U.S. Internal Revenue Code. the opportunity to obtain tax-exempt status for its charitable activities through this group exemption. The benefit of doing so is that contributions to our foundation for charitable activities would generally be deductible for federal income, gift, and estate tax purposes. WE NEED TO ADD CREATIVITY BACK INTO SCHOOLS. 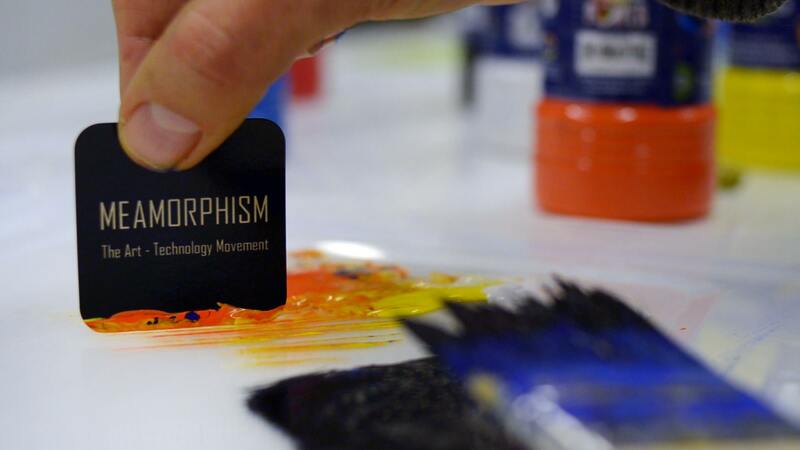 MEAMORPHISM DOES IT EXACTLY THAT: WE BRING AN INNOVATIVE TECHNOLOGY-BASED APPROACH TO ART CLASSES, WHILE STILL USING TRADITIONAL FINE ART LIKE PAINTING TO ENGAGE STUDENTS AND FOSTER THEIR CREATIVITY. THE ATTACHED VIDEO THAT EXPLAINS THE MISSION AND THE OBJECTIVES OF THE PROGRAM . PLEASE FEEL FREE TO FORWARD THIS TO YOUR FRIENDS AND ACQUAINTANCES.MEAMORPHISM IS VIBRANT, COLORFUL AND ALIVE. IN ART CLASSES, KIDS WILL BE ABLE TO CREATE A MULTIDIMENSIONAL WORK OF ART USING THE SAME DIGITAL TECHNOLOGY THEY USE IN THEIR EVERYDAY LIVES. HELP US MAKE THIS DREAM A REALITY! MEAMORPHISM CAN MAKE IT POSSIBLE FOR KIDS TO BE EXCITED ABOUT ART CLASSES ALL OVER AGAIN, AND YOU CAN MAKE IT HAPPEN BY FORWARD THIS TO YOUR FRIENDS AND ACQUAINTANCES.AND YOU CAN MAKE IT HAPPEN BY CONTRRIBUTING TO OUR CAMPAINGN! Meamorphism is a ground breaking new art movement developed by internationally known artist Ali Meamar in collaboration with Sony Corporation. This art movement combines traditional “fine art” making with the newest digital media technologies. Meamorphism pieces are created using Digital Canvases that provide the user with a dynamic viewing experience and that can be manipulated by the viewer. Each Meamorphism piece allows the viewer to see infinite variations of the artwork. ONE OR SEVERAL “PASSIVE PLANES”© THAT CAN INCLUDE PIGMENTS, OILS, ACRYLICS, ‘TROMPE L’OEIL’ OR ANY OTHER COMPOSITION MADE OF COLLAGES AND MULTIMEDIA MATERIALS. ONE OR SEVERAL “ACTIVE PLANES”© — DISPLAYS THAT INCLUDE DIGITAL GRAPHICS, VIDEOS AND MUSIC. DIGITAL CANVAS STRETCHING HARDWARE KIT ©: SPECIALLY DEVELOPED HARDWARE THAT HOLDS TOGETHER THE COMPONENTS AND ALLOWS FOR HANGING THE PIECE ON THE WALL. DIGITAL CANVAS REMOTE CONTROL ©: A SPECIALLY DEVELOPED SIMPLIFIED REMOTE CONTROL ALLOWS FOR EASY OPERATION OF THE DIGITAL CANVAS. Our Mission is to promote the Meamorphism Art movement into education communities. We will achieve this by teaching the Meamorphism techniques and technology at the college and high school levels as well as in after-school programs. By combining traditional art making with digital technology that most young people use on a daily basis, we strongly believe that Meamorphism will attract students back to art classes. Meamorphism will engage the young people in creation and innovation exercises. As the program develops many after-school programs will initiate classes for Meamorphism, which will allow to keep the youth off the streets and potentially safer and away from drugs. Many charity programs deal today with hunger but few programs deal with keeping the soul of our young generation healthy. Meamorphism is one such program. We need additional funding sources to help us finance the deployment of Meamorphism in the youth communities and especially in the high schools and colleges. This funding will be used to start pilots in the education community. Meamorphism Education Deployment plan: Phase one: pilots. Objective: establish 2 pilots (in college and high school) by September 2013 Agenda: – Secure all the hardware (digital technology components, brackets) – Build Digital Canvases – Select schools, teachers and principals – Secure and train the teachers – Collect feedback Phase two: partial deployment Objective: Roll out to additional pilots.